Concrete pools are built to last. The technology involved in constructing concrete pools has changed over the years, as poured concrete and concrete block pools have fallen out of favor. Today, what’s known as shotcrete pools are made by shooting a mix of cement, sand, water, and aggregate from a pneumatic applicator at high speeds against the earthen walls and base of the pool excavation and around a grid woven of steel rebar (reinforcing bar). We make multiple passes in order to build the mixture to the desired thickness. We then trowel the concrete smooth before it sets, and afterwards we apply a coat of plaster. Mid Atlantic Pool Service designs and installs concrete inground pools in Baltimore County, Howard County, Harford County and Anne Arundel County areas. Choosing to install a concrete inground pool is a big investment, so it’s important to make smart choices with regard to size, shape and location. We’ve been pool builders since 2007, and can offer advice on location, and help you choose the size and shape based on your needs, tastes and budget. Let us give you a quote today on your vinyl or concrete pool installation. We are expert pool builders serving the greater Baltimore area. 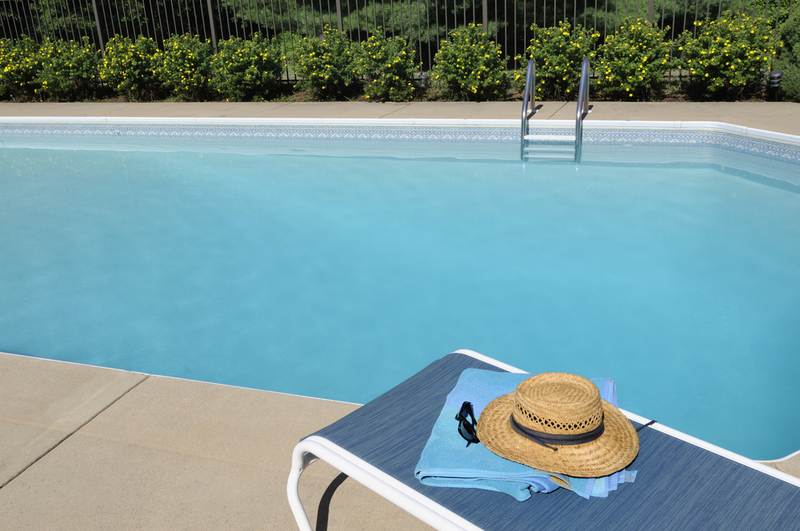 If you have an older concrete pool in need of some TLC and pool repairs, we can help. We install new pool tile and replace cracked, chipped or faded pool tile. We can try and match your existing tile, or may recommend a similar tile if you don’t want to replace all of the tile. Pool coping is the stone or concrete material used to cap the edge of your pool shell wall. Over time, pool coping may crack or need to be replaced. We install pool coping both with new pools and as part of pool upgrades / pool repair. Pool plaster is the finishing touch to concrete pools, and provides a watertight seal to Shortcrete and Gunite. Eventually, concrete pools will need a new coat of plaster to keep the watertight seal, smooth finish and bold new color.